Meteorological Information – displays air temperature, relative humidity, barometric pressure, photosynthetically active radiation, precipitation and wind speed and direction. A weekly time series of air temperature and precipitation is also displayed, as well as a photograph of the lake that updates every 30 minutes. Current Water Conditions – displays a time series of surface water temperature that updates hourly and vertical profiles of water temperature, dissolved oxygen, and chlorophyll-a that update every six hours. Profiler Time Series – displays historical data for water temperature, dissolved oxygen, and chlorophyll-a profiles in graphical displays that show the seasonal dynamics of these properties. 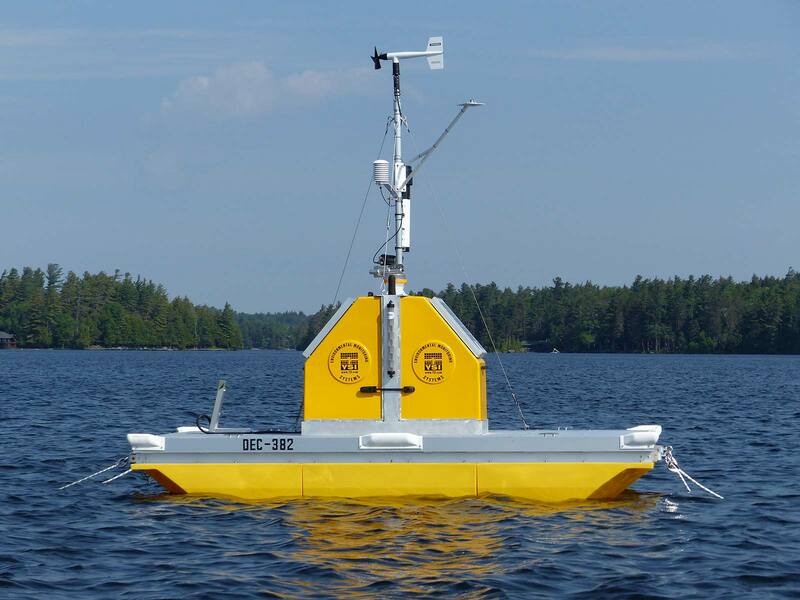 Platform Description: The Upper Saranac Foundation and the Paul Smith’s College Adirondack Watershed Institute installed an environmental monitoring platform at the South Basin of Upper Saranac Lake, NY, in May of 2017. 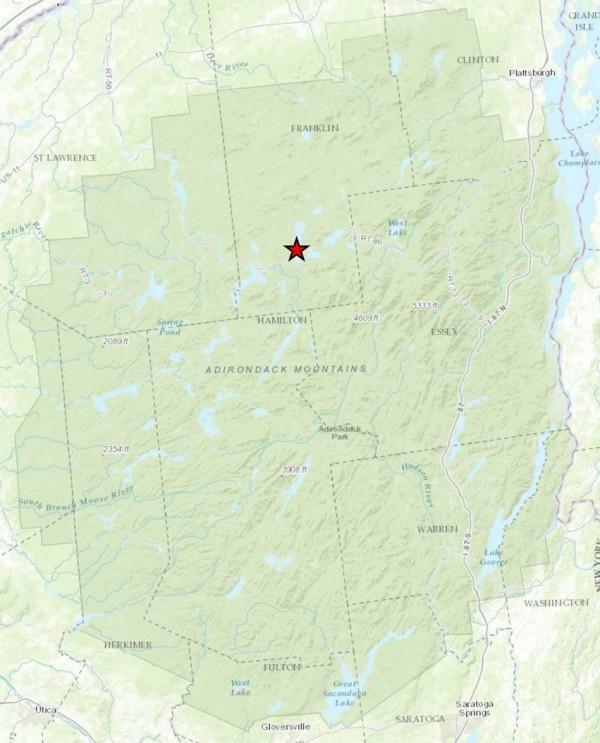 Upper Saranac Lake is located in the northern Adirondacks (red star on map) at an elevation of 1,572 feet (479 meters), and with 47 miles of shoreline and a surface area of 7.6 square miles, this lake is among the largest in the interior highlands of the Adirondacks. The platform is an autonomous in-lake station that collects key physical, chemical, and biological data to enhance our understanding of lake ecosystems in support of lake and watershed science and management. Weather and limnological data collected by the platform are transmitted in near real-time to Paul Smith’s College where data is displayed on this website. 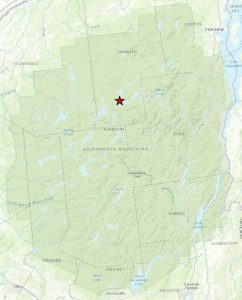 Historical data is freely available to the wider scientific community by request to the Paul Smith’s College Adirondack Watershed Institute. Support for the environmental monitoring platform comes from the National Fish and Wildlife Foundation and the Upper Saranac Foundation.